Pseudo Echo, a photo by Eva Rinaldi Celebrity and Live Music Photographer on Flickr. Sydney Resolution Concert Series is thrilled to announce Sydney’s biggest New Year’s Eve party, which will be staged at Sydney’s Glebe Island overlooking the iconic Sydney Harbour on Saturday December 31st 2011. 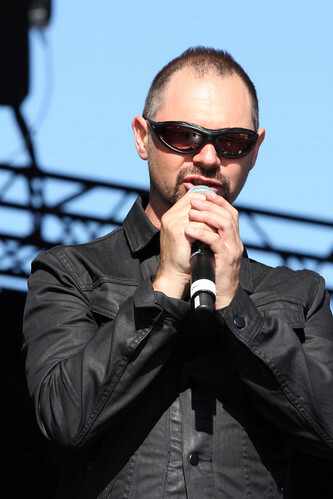 The inaugural Sydney Resolution Concert Series will feature international superstars including Jamiroquai, Culture Club and Pet Shop Boys, as well as Australia’s very own Guy Sebastian, Pseudo Echo and Lyndsey Ollard. Sydney Resolution Concert Series is sure to be an unforgettable night of music and festivities, showcasing some of the biggest acts in the world against a backdrop that only Sydney can provide. With unobstructed, stunning views of the city and the fireworks display, there is no better place to be on New Year’s Eve than Glebe Island. See 2011 out with a bang with some of the world’s biggest classic and contemporary artists, playing all the songs you know and love. Sydney’s Glebe Island will turn into a ‘mini city’ for this very special event, with a custom-built venue providing the very best in entertainment and bars, an incredible on-site ‘village’ showcasing Sydney’s best local and international food, and a unique array of retail and market stalls. Sydney Resolution Concert Series will be the hottest ticket in town for New Year’s Eve! Please be advised that Sydney Resolution Concert Series is a licensed event – all patrons must be over 18 years of age. Glebe Island is situated on the beautiful Sydney Harbour. All patrons will arrive and depart by ferry or bus service from terminals and wharfs provided by Sydney Resolution Concert Series. Please note there is no parking at the event. Gates open at 2pm, entertainment commences at 4:00pm and all performances will conclude by 1:45am. Tickets go on sale at 9am on 28th November through Ticketmaster.